Gener8 - Earn money from ads with Chrome/Firefox extension | GoldenTalk - The Best Moneymaking Forum - HYIP, PPA, Forex, Online Betting! 2. Complete your preferences to generate tokens quicker and make more money. Brands pay money to show you what you’re interested in. By completing your preferences you will see ads that are based on what you like and you’ll earn money quicker because of it. 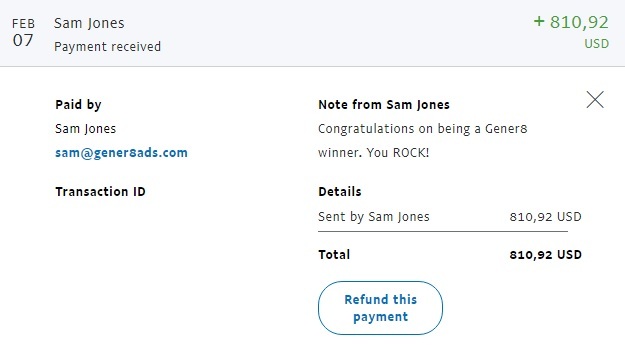 I've seen some proofs from the winners of £100 on Gener8's social media. A lot of members are from UK since that is where Gener8 is based in and looks like they sent the prize in cash via courier.